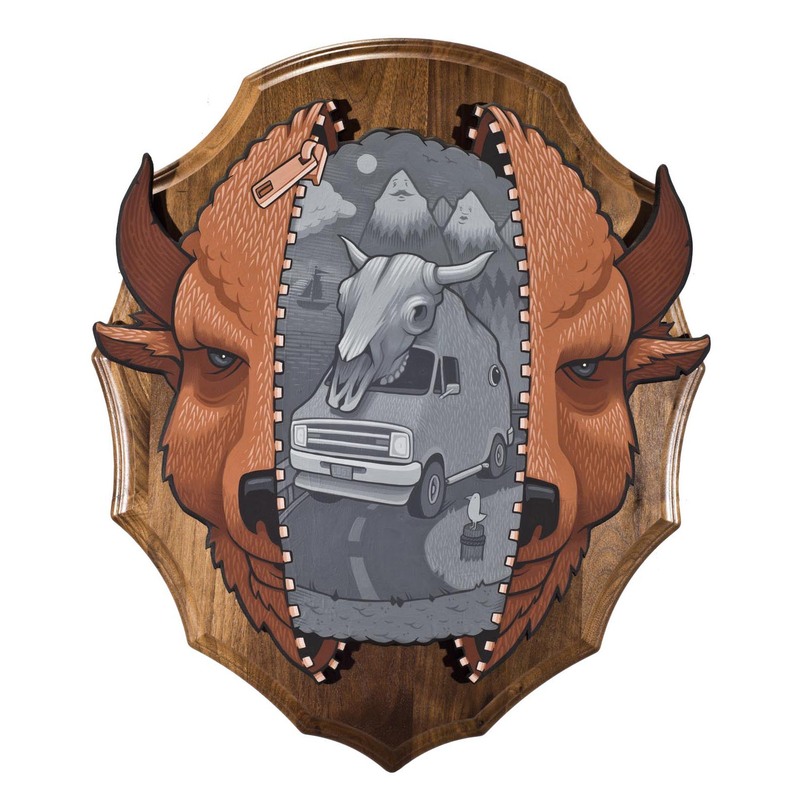 A graduate of the San Francisco Art Institute, Jeremy Fish (b. 1974, Albany, NY) received his BFA in 1998, and has exhibited in Mexico City, San Francisco, New York, Laguna Beach, Milan, Zurich, Tokyo, Munich, and Los Angeles. He has shown in collectives and group shows throughout the world, including Switzerland, Japan and Germany, and self-produced a number of international “Mobile Art Tours.” His work is featured in the permanent collection of the Laguna Art Museum (CA).